UFO are an English heavy metal and hard rock band that was formed in 1969. 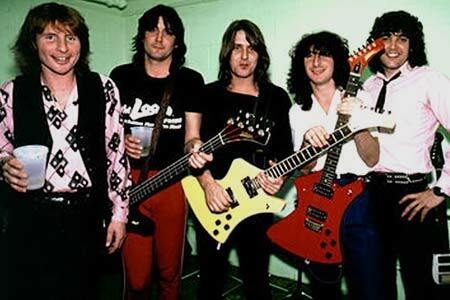 UFO became a transitional group between early hard rock and heavy metal and the New Wave of British Heavy Metal. UFO were ranked No. 84 on VH1's "100 Greatest Artists of Hard Rock".